Paarl is one of the most well-rounded parts of the Western Cape. Not only is this beautiful, hot region home to some of South Africa’s finest wine estates and hotels but it also offers a wealth of highly rated, consistently pleasing restaurants. Ever since its opening, FABER has been the recipient of much highly esteemed and deserved food praise. Found on the picturesque estate of Avondale, this enchanting eatery is pure magic, from setting to food presentation to taste. Formerly under the helm of chef Eric Bulpitt but now overseen by up-and-coming chef Dale Stevens, FABER is an authentic, altogether impressive restaurant. It is, in every sense, a tastefully decorated, professionally run and sustainability-driven offering. 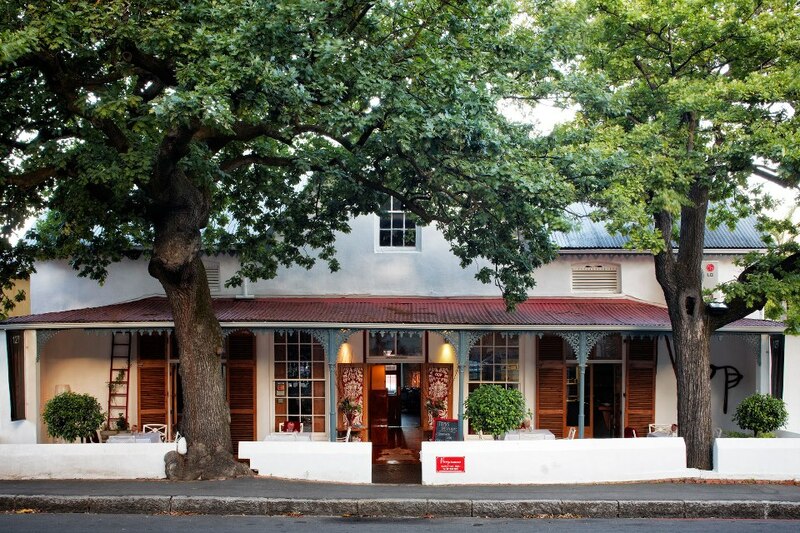 If you are looking for one of the best culinary experiences the Western Cape has to offer, book at FABER. Klein Drakenstein, Paarl, Western Cape, South Africa. Terra Mare – “Where land meets sea” – is a wonderful find in Paarl’s town proper. This contemporary establishment brings together some of the finest elements – including continental, Italian and Mediterranean cuisines – in a setting that quietly wows. Inside, the restaurant is stylish and classy, without being over-the-top -and the food provides diners with the ultimate food experience. Add to that some excellent wines and a passionate team and you cannot go wrong with Terra Mare. 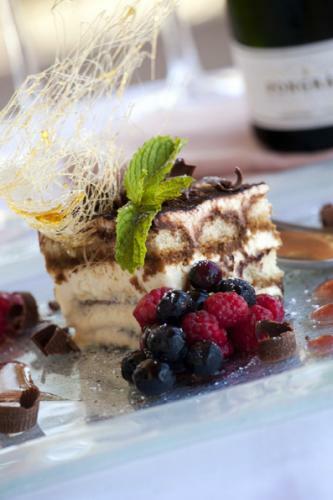 Address: Terra Mare Restaurant, Paarl, Western Cape, South Africa. Noop is the place where wonderful stories of food and wine await… It is a warmly welcoming, gorgeous eatery, with food to match. Here, things are kept fresh, local and simple, and there is no need or desire to over-complicate… And the culinary results are incredible. What’s more, not only is Noop ideal for special dinners, romantic meals and celebratory nights out but it is perfect for hosting any special event. Address: Noop, 127 Main Road, Paarl, Western Cape, South Africa. This restaurant, which offers incredible views and a stylish, modern setting, is sure to thrill. The seasonally inspired food – expertly prepared by chef Johan Stander – is delicious and well-presented, the wines on offer are great and the service is top class. All of these elements combine to bring you an excellent restaurant experience. While you are there, you might want to book a wine tasting or pop into the art gallery. Note: The restaurant is open for lunch on Monday to Sunday, from 12:00 pm -16:00 pm. 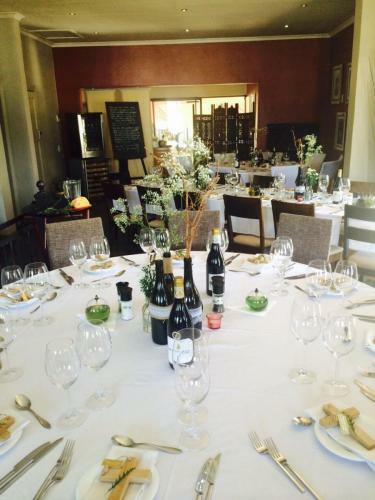 Address: Restaurant at Glen Carlou, Simondium Road, Klapmuts, Western Cape, South Africa. 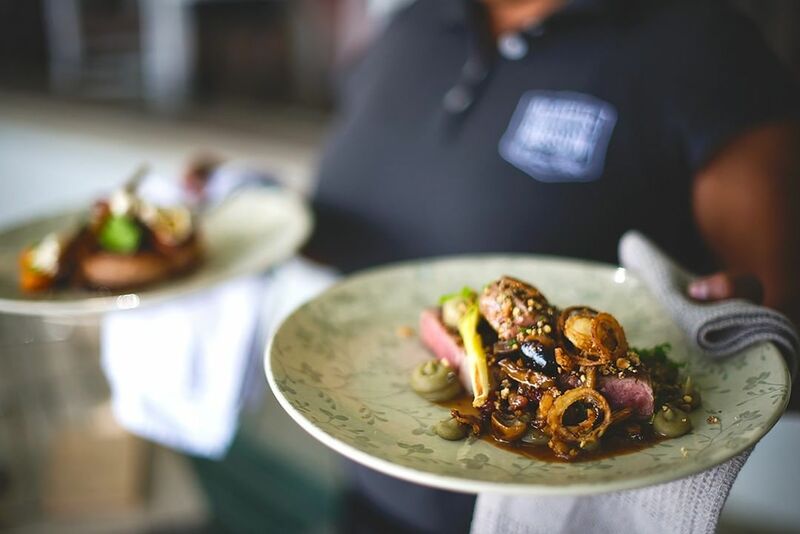 Found at the delightful Pearl Mountain Estate, Blacksmith’s Kitchen is a relaxed and cosy bistro-style restaurant, situated in the old blacksmith’s cottages. Chef Douglas Adams ensures that the food is beautiful and delicious, while the pretty, airy setting makes the restaurant feel like a breath of fresh air. When in Paarl, be sure to pay Blacksmith’s Kitchen a visit. Address: Blacksmith’s Kitchen, Pearl Mountain Estate, Northern Paarl, access via Bo Lang Street from Paarl Main Road, Paarl, Western Cape, South Africa. Celebrating the best of South African cuisine, served up by one of the country’s finest chefs, Bertus Basson – this self-named restaurant at Spice Route is a winner every time. Whether you sit out on the porch or under the oak trees, you are sure to be wowed by your surroundings, as much as by the incredible food on offer. Note: Before/after your meal, be sure to explore all the fun, which Spice Route offers visitors! Suider Paarl, Western Cape, South Africa. The award-winning Bosman’s at Grande Roche Hotel makes for a unique dining experience. Here, pleasing settings combine with good service and memorable foods, creating a sensory experience of note. This is fine dining, wherein charming intimacy, old-school elegance and style come together nicely. Note: The Private Dining Room can be hired for more intimate functions, board meetings and of course, romantic, candle-lit dinners too. Paarl, Western Cape, South Africa. 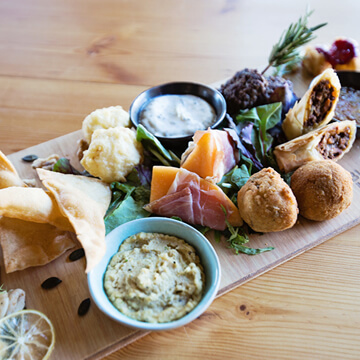 Fairview isn’t just renowned for its cheeses, wine and cute goats alone – for its eateries are well loved too, you see. And in Goatshed Restaurant, one encounters a delightfully charming, country-style eatery, equipped with a pleasant atmosphere, setting and menu to boot. With their selection of farm-style dishes, artisanal, award-winning cheeses and delicious wines, it is hard to beat a meal at this lovely restaurant. Note: Be sure to say hi to the friendly estate goats when you visit! Address: Goatshed Restaurant, Fairview Wine Estate, Suid-Agter-Paarl Road, Suider Paarl, Western Cape, South Africa. These are just some of the most fabulous places you can eat out at in Paarl… which will you visit first?